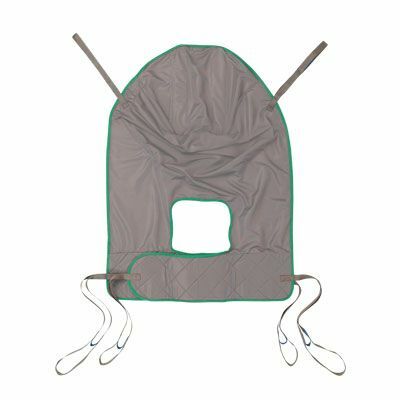 Easy Fit Sling Supports The Whole Body And The Head. Our Invacare Easy - Fit Sling supports the whole body and the head, and is therefore suited for users with the most challenging physical disabilities. The specially designed separate leg supports are easy to apply, and the sling affords a good hip position, which allows the user to sit relatively upright. The Easy-fit sling is also well-suited for amputees. It is easy to apply in both sitting and lying positions. This sling comes in 2 different materials and 5 different sizes.